in back cover of “Ukiyo-e DVD mook 3rd vol.” (Kodansha) issued on June 10th. Don’t you think it’s cool that both love and espresso have “bittersweet” in common, do you? 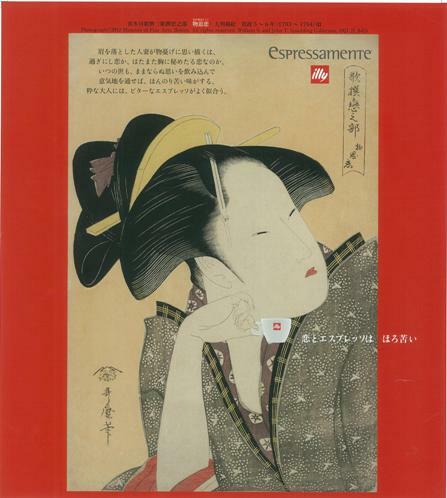 You can see the panels of the enlarged Ukiyo-e prints on the wall of espressamente illy Nihombashi. Please drop in and experience the bittersweet with a cup of espresso. 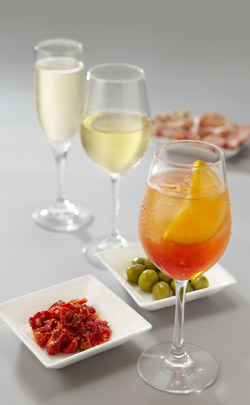 Espressamente illy started “Aperitivo Time” from June 1st. All espressamente illy shops in Japan offer this service everyday after 5 p.m.
“Aperitivo” means aperitif or appetizer in Italian. 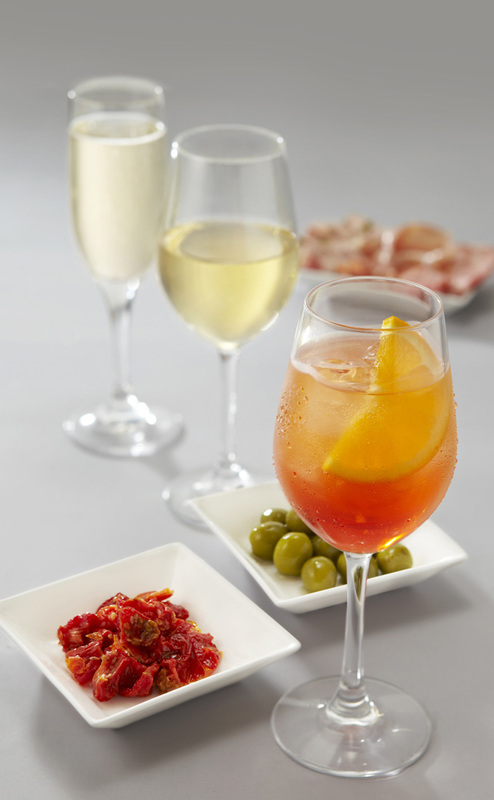 People in Italy spend time on having snacks and alcohol before dinner. Snacks and appetizers for 300 yen/500 yen. Please feel free to drop by on your way home or dinner. Copyright © PRONTO Corporation All rights reserved.